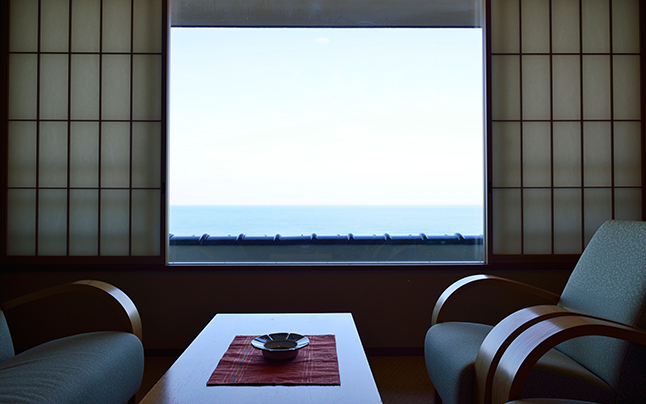 the 66 ocean view guest rooms overlooking the magnificent Sea of Japan, appeal to a plethora of tastes. 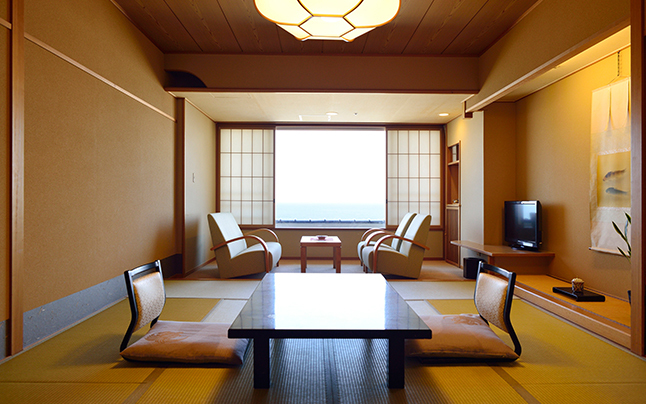 Comfort and complete relaxation are available in this Japanese room; 12 Tatami mats in an open-space, Shoji rice paper sliding screens, decorative Tokonoma alcoves and Japanese Futon bedding. 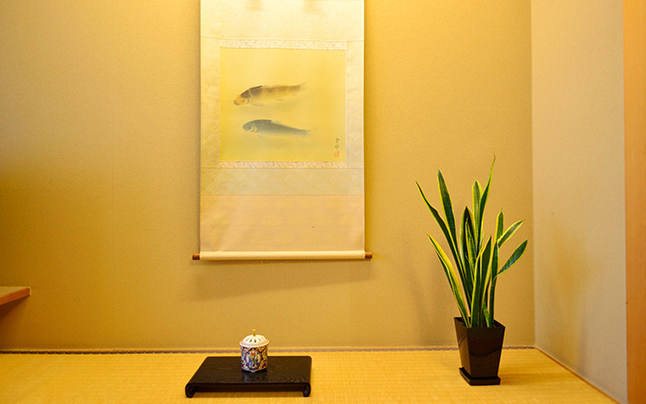 Enjoyment of Japanese experience is increased by wearing a Yukata cotton bath gown and Kameya’s Japanese course meal served in the room as well. Shonai district where Kameya is located is blessed with bounty from the sea and the mountains. 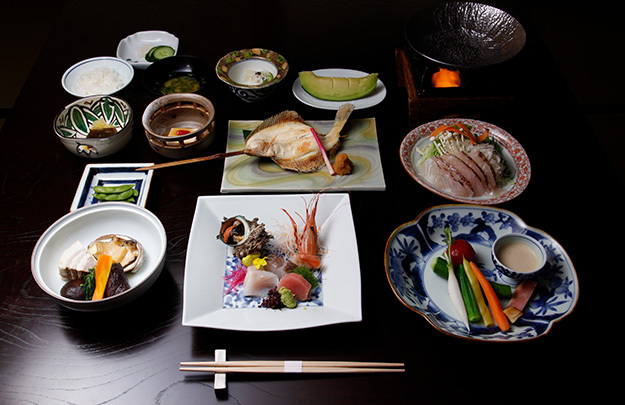 Fare from the sea includes fresh seafood from the Shonai beach along the Sea of Japan. The qualities of well-known brand rice as well as brand pork and beef are a feast from the mountains.